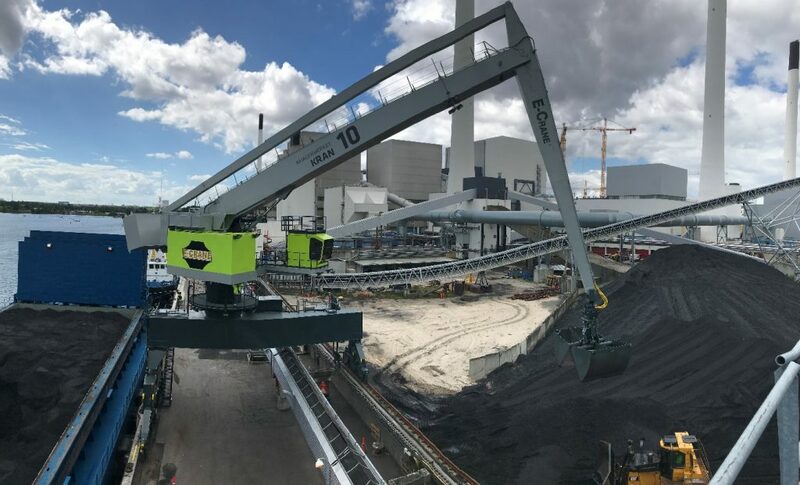 HOFOR Copenhagen has recently installed a new E-Crane for handling biofuels. Hofor A/S power plant Amagerværket, located near the city center of Copenhagen, Denmark, is renewing and upgrading their facilities in order to phase out coal by 2020, replacing it completely with bio mass. As part of this upgrade, Hofor is also replacing an existing 4-rope grab crane with a new E-Crane. The new crane, an 1500C Series model EH9359 GA-E will handle coal and biofuels for the power and heating generating plant. Following a mandatory tendering process, HOFOR selected an equilibrium E-Crane from E-Crane International as their preferred choice. During the engineering and production phase of the crane, Hofor engineers worked closely together with the E-Crane team to ensure the crane is according to the stringent rules of power plants in Denmark. In the spring of 2017, the E-Crane was transported to Copenhagen and erected and commissioned in full cooperation with the Hofor team and Port-Trade, E-Crane’s agent for Denmark. 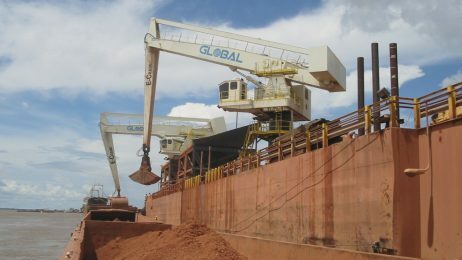 Port-Trade will also support Hofor 24/7 for the service and maintenance. The 1500C Series model EH9359 GA-E has a reach of 35,9 meter and has a lifting capacity up to 25 tons. 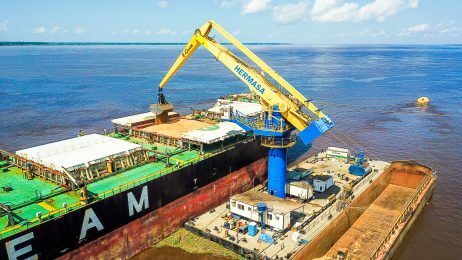 The coal and wood pellets are delivered in coasters and barges, and with a reach of 35,9 meters, the E-Crane is able to cover the complete width of the barges. A loader is needed only for some clean-up work. The E-Crane is mounted on a high rail gantry to allow trucks and cars to drive under the crane. The landside rail is elevated on a wall that separates the coal stock from the quay. 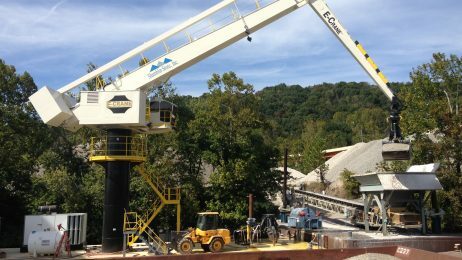 The two-way cable reel makes it possible for the E-Crane to travel in two directions and place the E-Crane at the best position for unloading the coasters and barges. Already during the first tests of unloading wood pellets into the hopper, a capacity of 650 tons per hours was easily reached. A major issue for Hofor is the general noise level of the entire power plant. 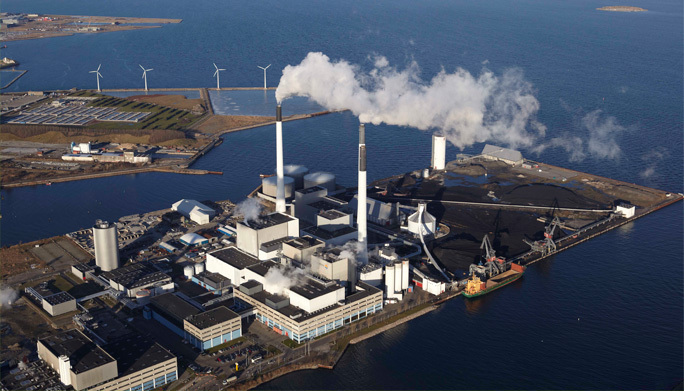 As the Hofor power plant is close to the city of Copenhagen, there are strict rules as to the maximum sound level. It was therefore also a requirement that an extra effort was made to reduce any noises from the new crane in the best way possible. Thanks to the electro-hydraulic powertrain, the E-Crane is already one of the most silent cranes on the market. However, on the request of Hofor, E-Crane engineered and installed an additional sound dampening package on the 1500C Series model EH9359 GA-E With this sound-dampening package, E-Crane fulfills the requirements of Hofor. The equilibrium principle, perfected and implemented successfully in well over 200 cranes by E-Crane, provides a nearly perfect balance between the movable counterweight and the weight of the crane boom and the stick plus half of the payload, at all radii. • Very low wear costs as the crane operates with low pressures and the balance is ensuring an equal load spread on components. • High operator comfort, supporting high productivity and excellent ergonomics. • Extremely silent inside and outside. 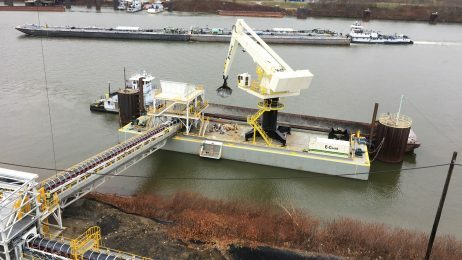 • Unique, adjustable floating point (automatic boom float), which helps to ensure grab filling in difficult conditions and prevents damage to ships and tools. The E-Crane design provides the highest quality fabrication of all load carrying steel constructions, high-class corrosion protection and reliable hydraulic components from renowned suppliers, such as Rexroth and Caterpillar. Design classification meets the highest possible standards in FEM or DIN, with the longest design life. 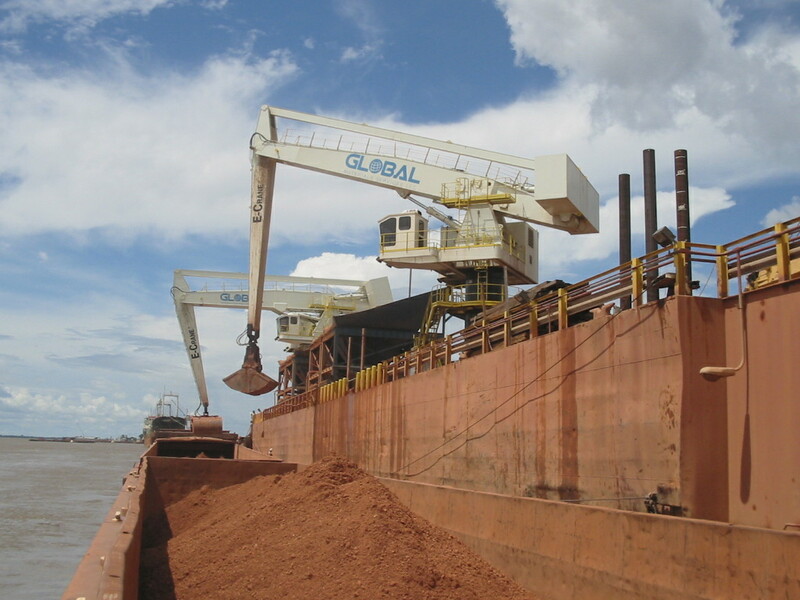 Electronic controls include remote diagnostics and the possibility of semi-automatic crane operation. All crucial spare parts, including slew bearings, pumps and cylinders are in stock at the factory in Belgium and available at very short notice. This reduces the operator’s need for spare parts stock to only those parts needed for regular maintenance, plus a limited selection of items, which are convenient to have on hand.